When it comes to any business, the critical thing you should look out for is the returns on the investment or what is popularly known as the ROI. No one wants to invest in a business that does not produce good ROI. Otherwise, you will be get nothing decent out of your investment. However, for business, there are some factors that come into play when it comes to ROI. There are things that you need to do right to achieve this. Among them is investing in a money counter machine. A money counter machine enables you to handle the cash management with lots of ease and improved efficiency. Cash management is one of the biggest challenges that most businesses are struggling with. Here are ways that you can improve your business ROI with money counter machine. The efficiency of the business will in a great way affect the ROI. That is because the productivity of the business relies heavily on its efficiency. When the business is operating at a higher experience, then you will start seeing improvement in production, and the returns are higher profits. That is how the returns on the investment are significantly improved. 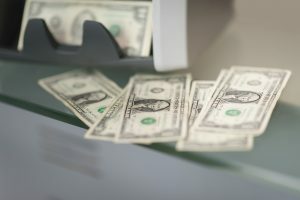 Therefore, by introducing a money counter machine in the business, you will be able to improve your cash management process, and that is how you get to enjoy high ROI. Your returns on investment (ROI) is also be significantly determined by the accuracy of your cash management. Note that ROI is the number of profits that you get from the business. If you find ways that you can improve the profits margins of your business, then you will be improving the returns of the investment. Inaccuracy in cash counting is one of the ways that ROI is reduced. You need to know the right amounts of cash in your business for you get the actual data on the ROI. That is only possible if you introduce money counter machine. Last but not least is the improved productivity of the business. The level of productivity will greatly influence the level of ROI in the business. That is what money counter machine does to the business. These machines are designed to improve the productivity of the business by directing most of the wasted time in counting to cash to other productive activities. That is how the return on investment on your business is improved.